You are at:Home»DINING»Hotel Jen OrchardGateway Singapore Reveals New Creation, Chicken Rice Pow! 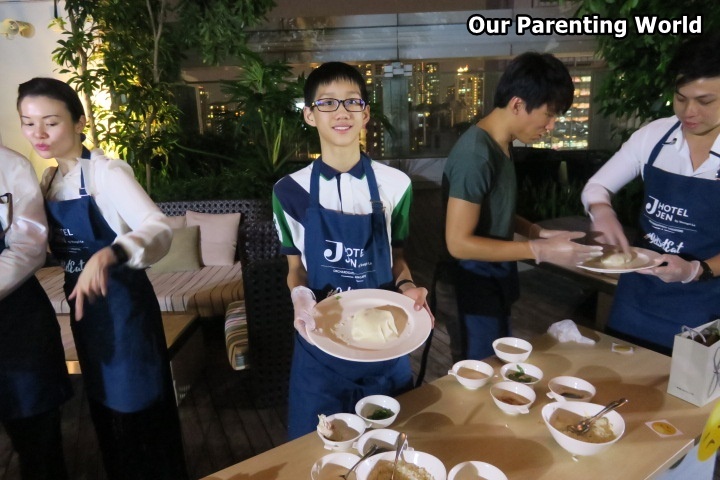 We are so excited to know that Hotel Jen Orchardgateway Singapore has come up with a new signature dish! As foodies, we simply can’t wait! 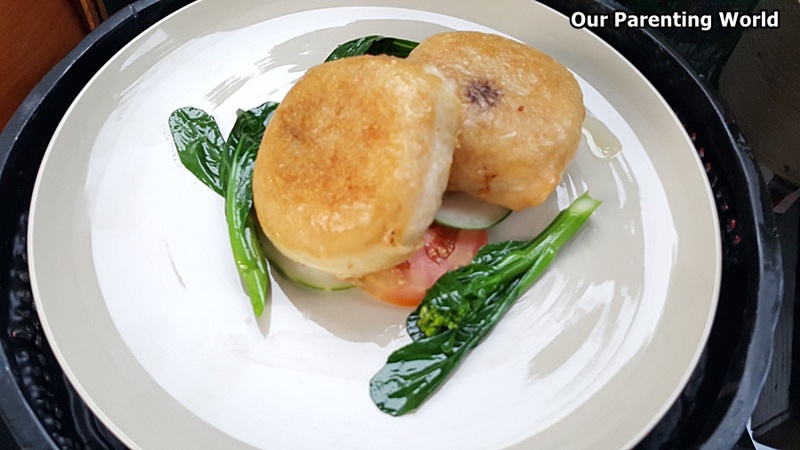 The talented team of chefs at Makan@Jen at Hotel Jen Orchardgateway Singapore has worked on revolutionising the all-time favourite and well-known national dish that we enjoy, Chicken Rice and responded with a Jen’s twist known as Chicken Rice Pow! 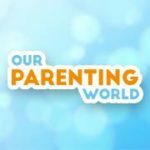 This can be enjoyed on-the-go which makes it convenient for you to take it away. 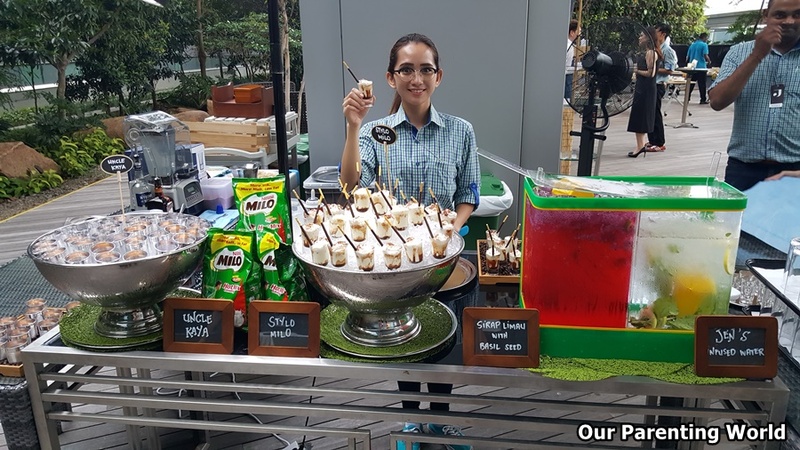 Hotel Jen Orchardgateway Singapore has also come up with locally inspired drinks like Uncle Kaya, Stylo Milo and Sirap Limau with Basil Seed. Come to Hotel OrchardGateway Singapore and try out its innovative locally-inspired drinks and food! 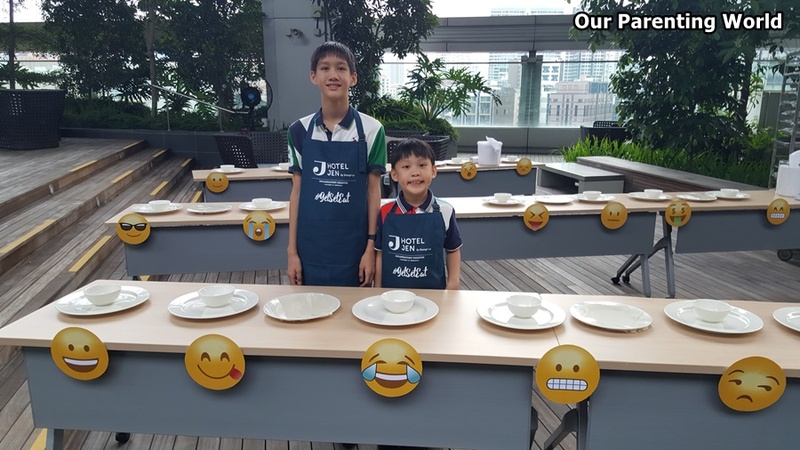 In conjunction of the release of Hotel Jen OrchardGateway’s new signature dish, members of the media are invited to a cooking contest and get hands-on creating our Chicken Rice Pow! 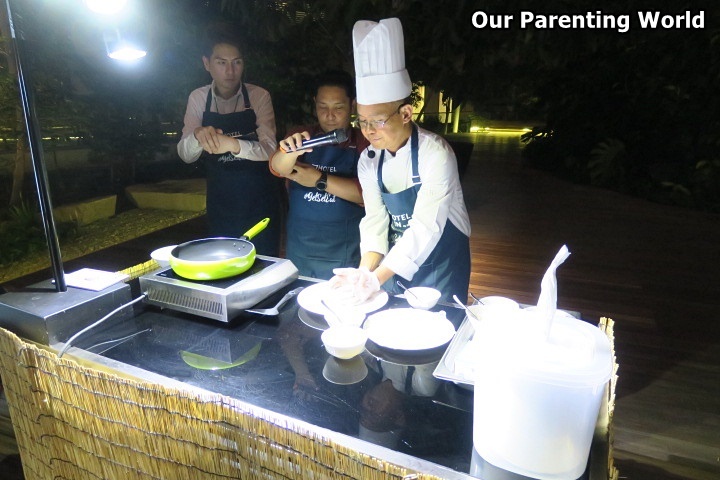 Chef did a demonstration for us on how to make the Chicken Rice Pow. All of us get to work on creating the dish after Chef has done the demonstration. Hotel Jen OrchardGateway Singapore’s new signature dish, Chicken Rice Pow is made with succulent, fresh white poached chicken, fragrant jasmine rice and Jen’s special sauce that is wrapped in spring roll skin. It is then pan friend till it turned crispy golden brown. This innovative creation is simply delicious! Chicken Rice Pow is Jen’s twist on a classic national dish of Singapore to end the year of the rooster with a Pow!! You can get to enjoy chicken rice on-the-go from 2 October 2017 onwards. 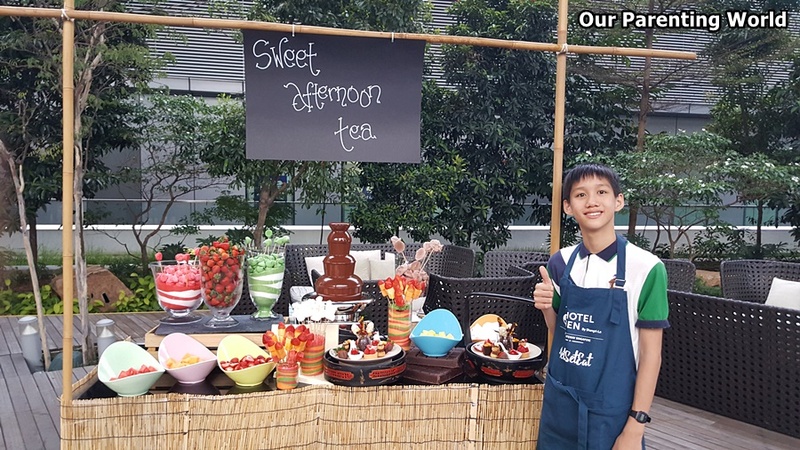 Hotel Jen has come up with a Sweet Afternoon Tea that is set to please your palate and satisfy your cravings for desserts! 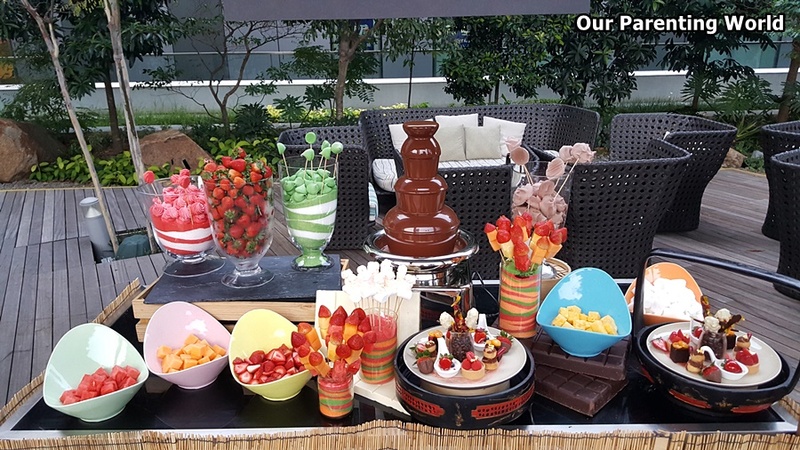 You can look forward to indulge in a wide selection of delectable chocolate, fruits, pastries and more at Lounge@Jen. Diners will be able to enjoy the newly launched Sweet Afternoon Tea set for 2 at S$58 ++ inclusive of a fondue buffet and a free flowing coffee and tea. Champagne option is available at S$68 ++ for 2. 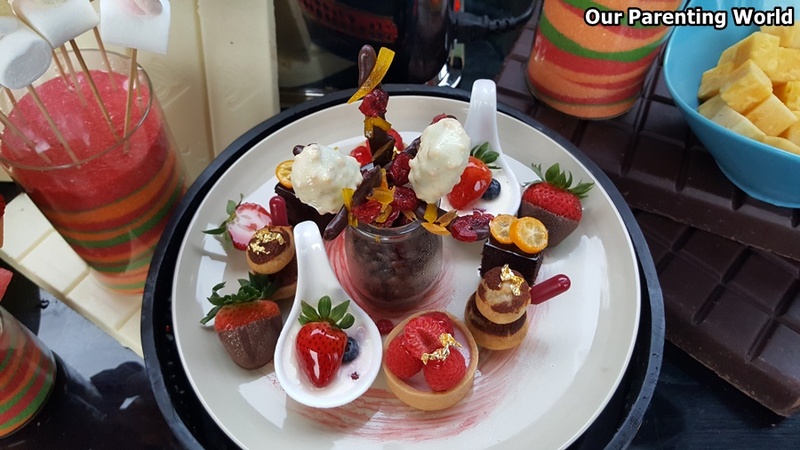 Gather your family and friends to enjoy the Sweet Afternoon Tea at Hotel Jen which is Stressed spelt backwards is Desserts! It is a good way to relax, de-stress and bond over a delightful and appetising high tea from 30 October 2017 onwards at Hotel Jen Orchardgateway, Lounge@Jen at Level 10. How much will it cost to publish a banner of my website in your site for a one year?